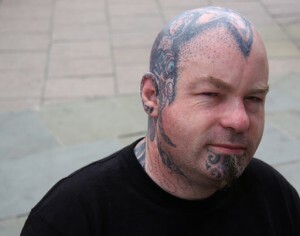 And now, a word from our publisher, the delightful Simon Marshal-Jones, on what inspired the genesis of Spectral Press, why and how the Spectral Book of Horror Stories came about, and the future of horror. 1. What inspired you to start up the Spectral Book of Horror series? Two things: first, my own experiences as a child reading the Pan Books of Horror Stories, specifically volume eight, which I’d found on the bookshelf outside my bedroom. I was only seven or eight at the time, and consequently I was both horrified and thrilled by the cover: a decapitated head in a hat-box. I surreptitiously sneaked into my bedroom and read it, without my parents ever knowing. Secondly, Mark’s abiding love and enthusiasm for both the Pan and Fontana Books of Horror series. He had always wanted to edit a similar anthology himself, so when he pitched the idea to me, it really was a no-brainer. 2. What do you think horror as a genre offers to readers? It’s a kind of a safety-valve mechanism – everyday life and society has become so banal and predictable for the most part, and so repetitively routine for many, that flinging yourself into a fictional situation, while still being in the relative safety of your own home and head, presents a vicariously secondhand thrill which throws us out of the humdrum and ordinary. And, of course, after the ‘horror’ has played itself out, we can return to our workaday lives unharmed. Often you will find that whatever fears and zeitgeist of the present era manifest themselves will inevitably provide material for a horror writer’s imagination, leading to a form of exorcism. Additionally, it’s a many-headed beast, a form of literature which has venerated ancient antecedents, stretching all the way back to the mists of mythology, to classicism, canonic literature, and right up to the present day, and will no doubt be with us for a very long while yet. 3. What’s your preferred form of horror story? Slasher, giallo, subtle psychological, ghost story, weird tale…? I prefer subtle psychological horror, ghost stories, and the weird tale for reading pleasure – imagination is an important element of horror, plus I don’t like things being completely spelled out for me. As far as horror cinema goes, however, I will watch just about anything. I grew up on authors like H. P. Lovecraft, M. R. James, and Clive Barker, writers whose work transcends the everyday reality of our world and painting it in a completely different light and perspective. That’s what I want from genre literature: the species of material which takes me out of the mundane and into the numinous and supranormal, to places where the stars rare right and the familiar angles of reality are all out of true. 4. Spectral has been running nicely for a couple of years now – where do you see the brand in five years? Where I would like to see the brand is it becoming one of the top genre publishers in the UK. I would also like to see it expand beyond its present limits and venture into sci-fi, contemporary fantasy and magical realism, into noir and crime, and possibly into the downright weird and uncategorisable. Genre is a word implying endless flexibility and boundlessness, and in that spirit, I would like to make Spectral entirely representative of the limitless horizons genre offers. This entry was posted in News, On Writing: General, On Writing: Short Stories and tagged and Clive Barker, h p lovecraft, M.R. 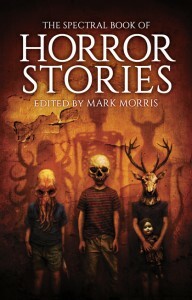 James, Mark Morris, Pan Books of Horror Stories, Simon Marshall-Jones, Spectral Press. Bookmark the permalink.